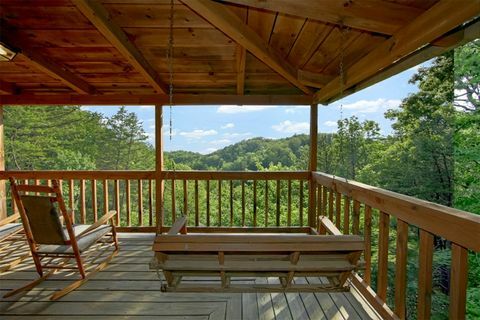 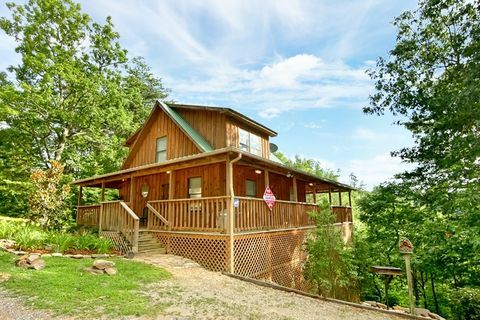 "Serenity Ridge" log cabin offers vacationers a lovely Sevierville, TN honeymoon cabin nestled in the Tennessee Smoky Mountains. 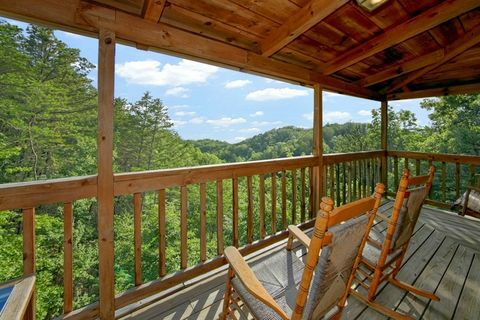 Your 1-bedroom honeymoon cabin offers splendid views of the neighboring mountains from the wrap-around porch with two porch swings, a bistro style patio set, or the year-round, covered hot tub. 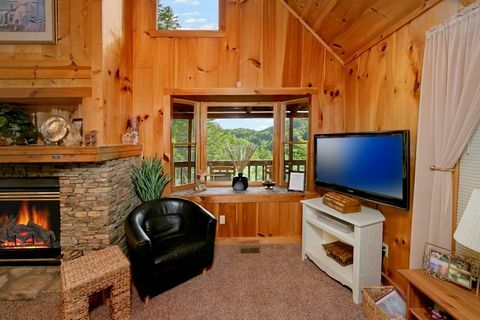 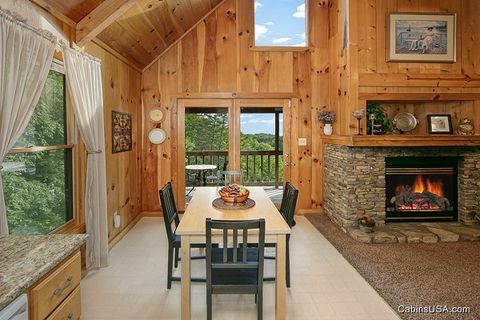 Guests can continue to enjoy the mountain views indoors from your Tennessee honeymoon cabin’s large bay window. 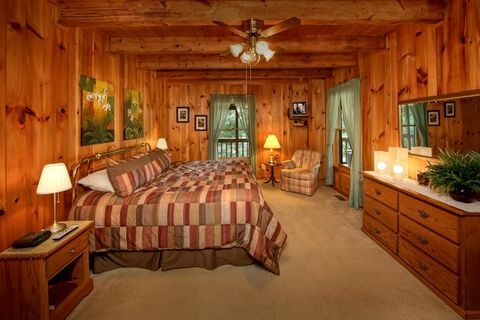 "Serenity Ridge" log cabin boasts a luxurious master suite that provides couples with a king-size bed, in-room jacuzzi, private bath, and personal television. 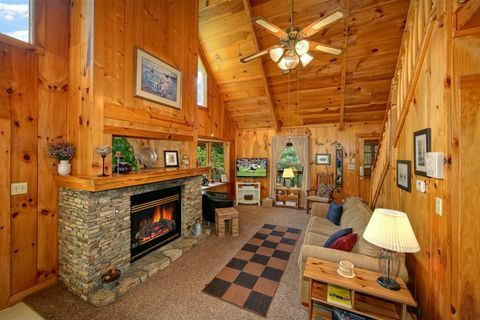 Your honeymoon cabin’s leather sleeper sofa provides extra sleeping accommodations as well as offers a great place to cuddle on while watching television in front of your gas log fireplace. 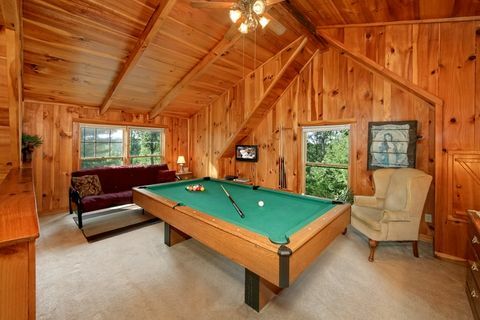 The upstairs loft offers several entertainment options for the two of you: a full-size pool table, electronic dartboard, television, and PlayStation 2. 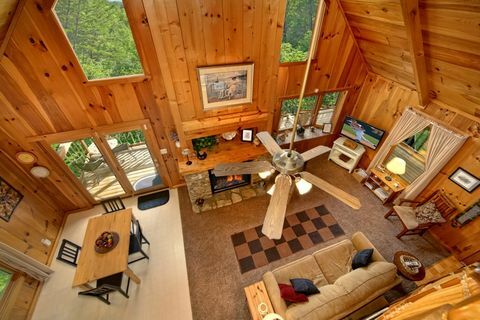 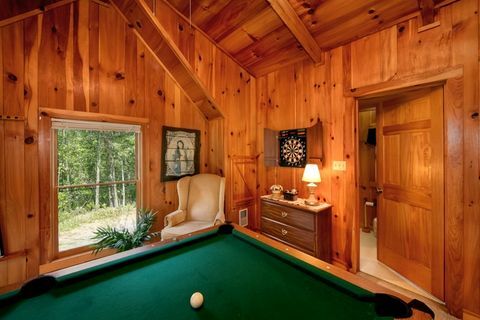 Sports fans - this cabin has high definition satellite with NFL and NASCAR packages! 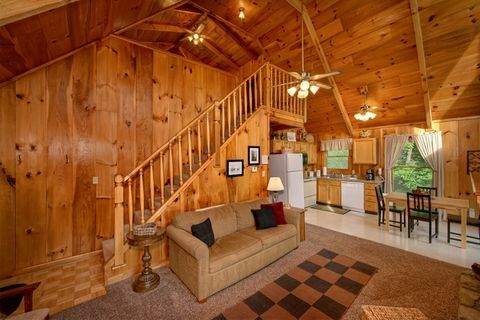 The loft futon and full bath provide additional sleeping space for groups on a budget. 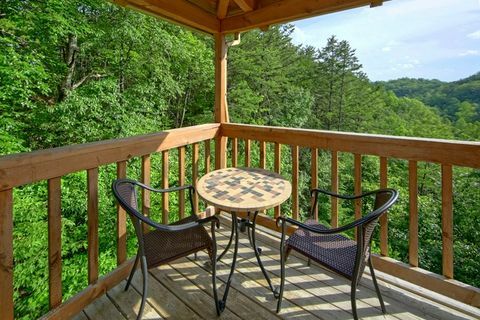 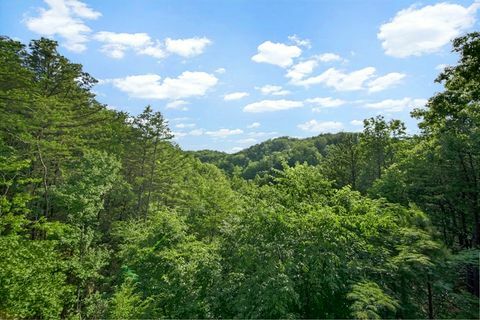 The beautifully landscaped yard creates a serene Smoky Mountains setting for outdoor picnics with food prepared hot of your cabin’s charcoal grill. 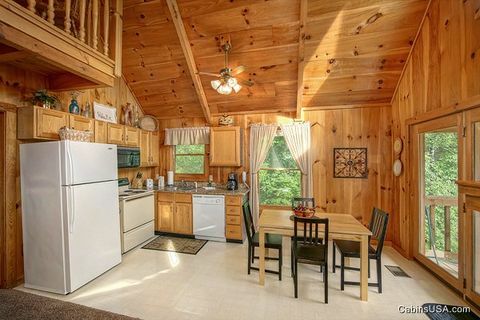 Additionally, the fully equipped dine-in kitchen helps you save money by enjoying romantic meals for two inside your cabin. 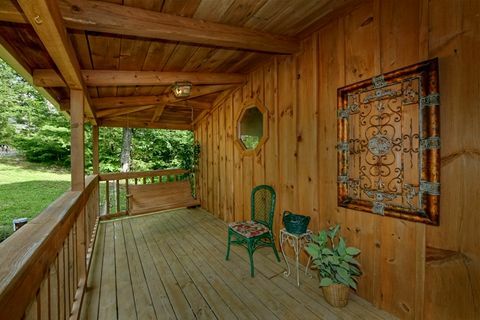 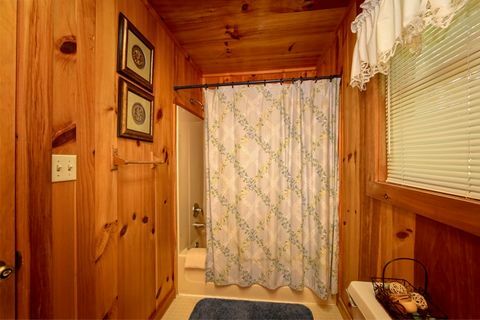 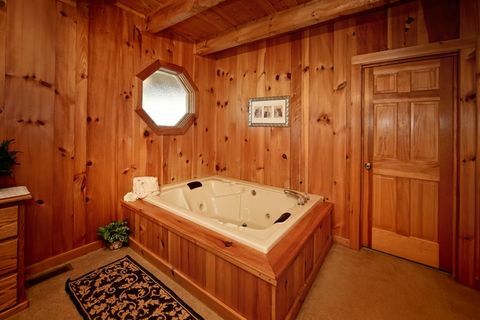 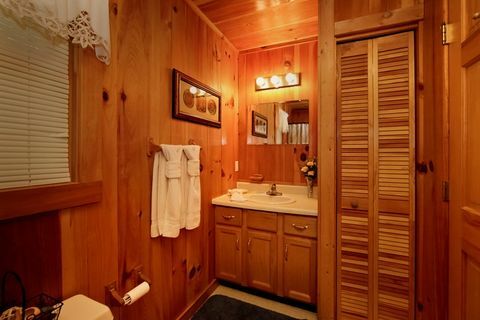 Peace and tranquility await you at "Serenity Ridge" log cabin. 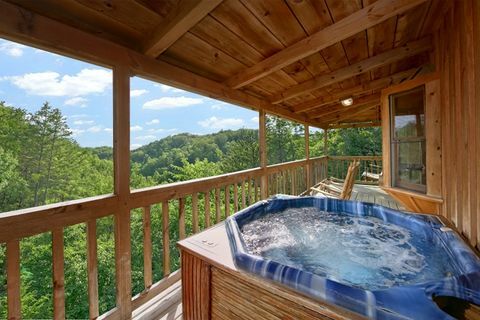 Start your memorable Smoky Mountains honeymoon by booking your Sevierville, TN honeymoon cabin ONLINE with Cabins USA Gatlinburg and enjoying an immediate Online Cabin Special!